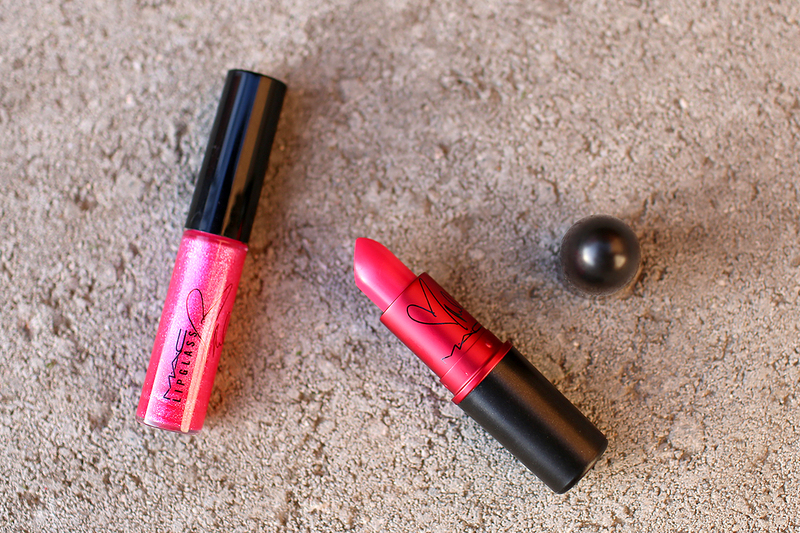 Whenever a new MAC Viva Glam comes out, I'm always interested in picking it up not just due to the celebrity association (which can be pretty cool) but also because every cent of proceeds goes toward helping women, men, and children living with AIDS. I got lucky thanks to a random NYC MAC store pop-in and happened to purchase the newly released VIVA GLAM Miley Cyrus lipstick and lipgloss set early. From the vivid hot pink shade to the heart and signature printed on the packaging, I had a feeling I'd fall hard for this one. 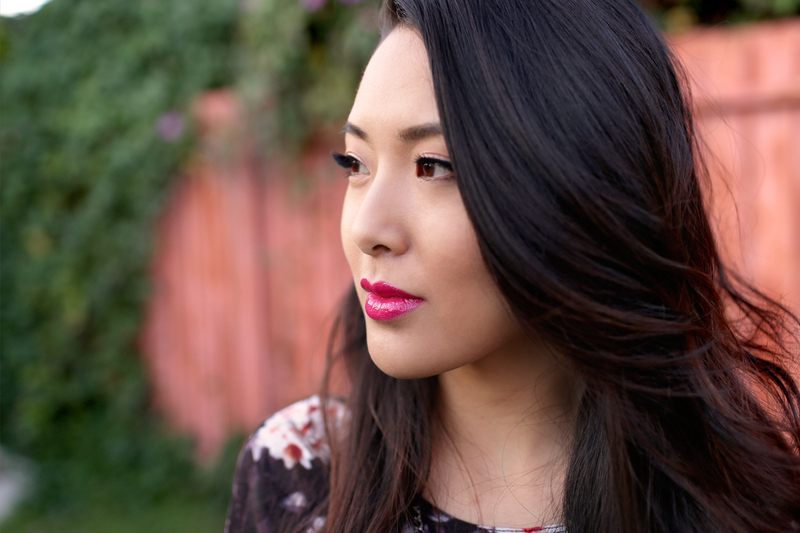 The Amplified lipstick formula is creamy and opaque with a hot strawberry pink hue that I could see being flattering on a wide range of skintones. It's a touch deeper on the lips than it looks in the tube which is perfectly flattering after application. 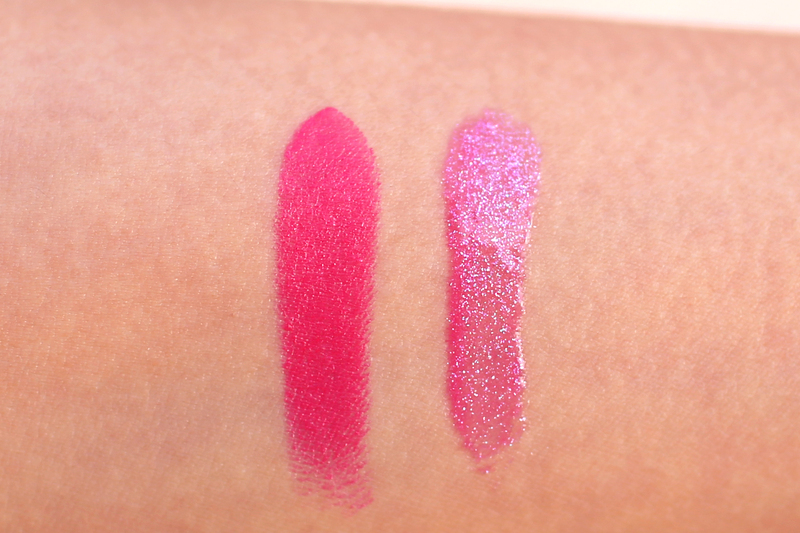 The Tinted Lipglass is actually more of a purple-pink with blue/pink pearl shimmer. To be honest I was equally excited for this since it reminds me of an old favorite cheap-o purple lipgloss I had in high school that I loved and always looked for a dupe of. 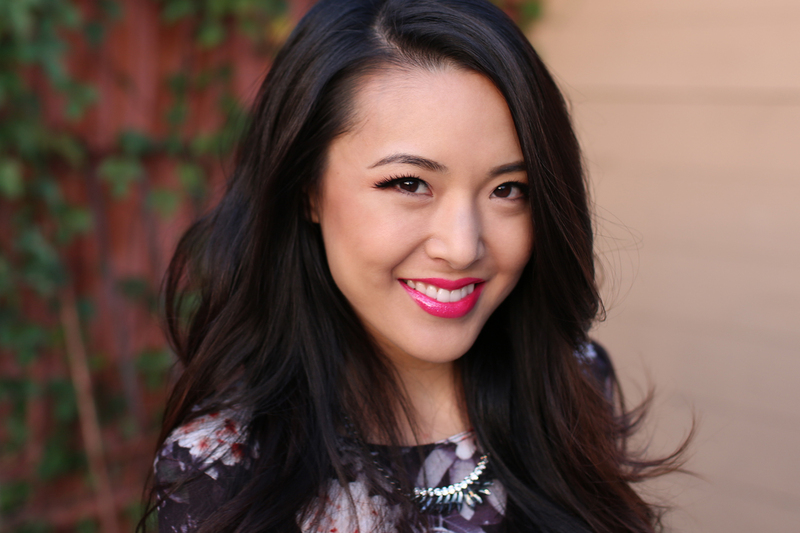 Hope this was helpful for any of you thinking of picking up the new lipstick! 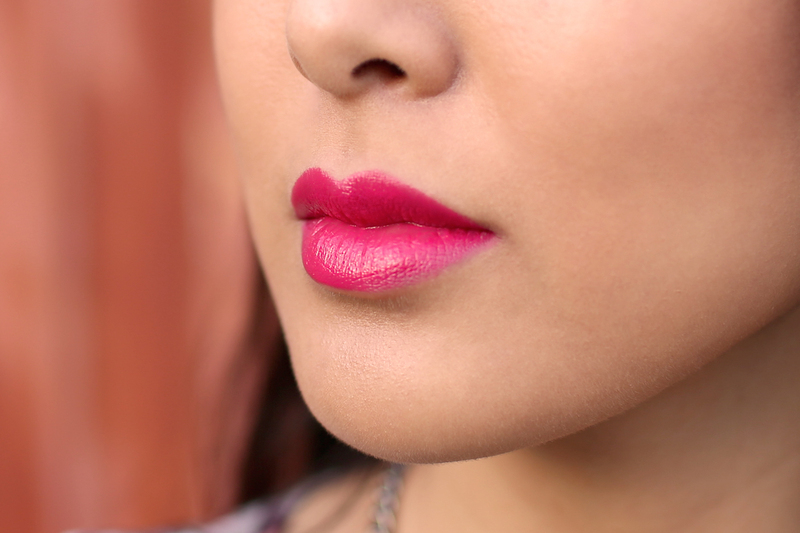 I'm completely obsessed and I know I'll be grabbing this shade frequently for spring as my go-to hot pink lip. 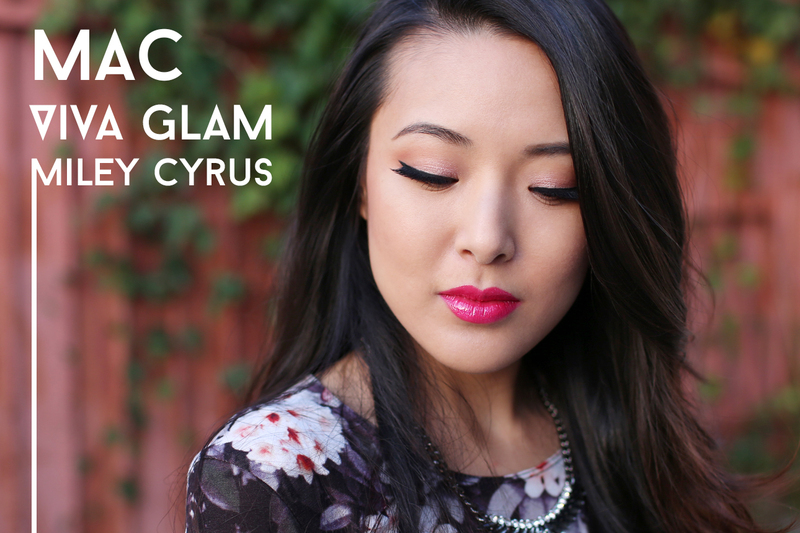 If interested you can find MAC VIVA GLAM Miley Cyrus lipstick for $16 and the lipglass for $15 at MAC and Nordstrom. This combo is so pretty, especially the lipstick! I was scared this wasn't going to look good on me because of my skin tone but seeing it on you, I'm wiling to at least swatch it now just to see! Yeah you definitely should! It swatches a shade darker than in the tube. I was hesitant it would look too barbie pink on me as well, but it looks much better on than I anticipated. Judging from the ad, the lipstick color doesn't all that appealing to me but it looks really pretty on you! I guess the ad didn't have a good representation of the shade. I love your dress, where is it from? Ohhhhh this make-up! and these lips! The lipstick looks fantastic! The gloss looks like it might be "gritty" because of all the glitter though. This is a really great pink on you! I didn't know that Viva Glam contributes to charity! It's such a great cause! The color looks so beautiful on you! right now it's my favourite colour :) beautiful & longlasting! The lipstick is gorgeous, not too sure about the lipgloss though. As you wrote, it does kinda remind me too of a cheap pink super glittery gloss I had in high school. Hmmm~ not quite feeling it! Absolutely love your posts! They're always so interesting. You're style is so super unique - I love it! 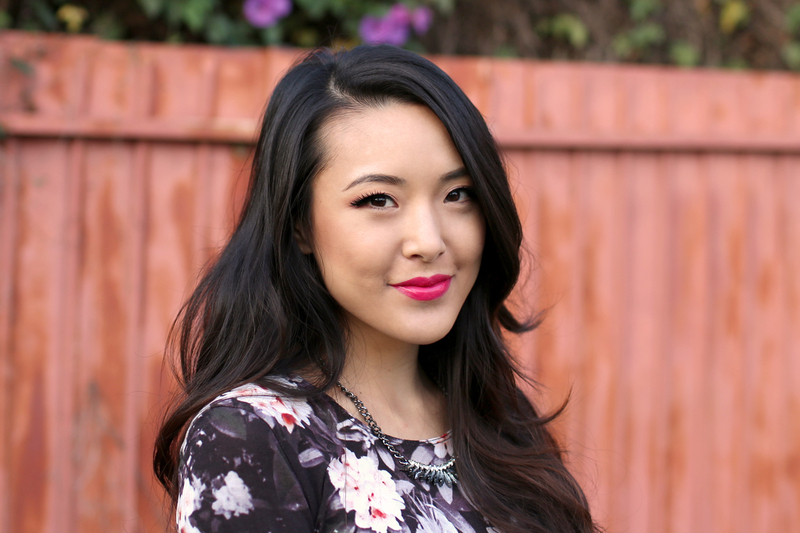 x.
I'm usually more gravitated to lipglosses over lipsticks, but I really like the shade of the lipstick! It's so vibrant and dazzling and of course, it's in my favourite colour, pink! :) Thanks for the swatches and review! I'm going to check it out at the local Mac store. I was really hesitant if I should get this lipstick or not ! Thank you for your review !! The shimmery electric pink colour really suits you ! Oh, that lipstick is what I'm looking for.. That's what my make up artist Manila used in my event.:D. 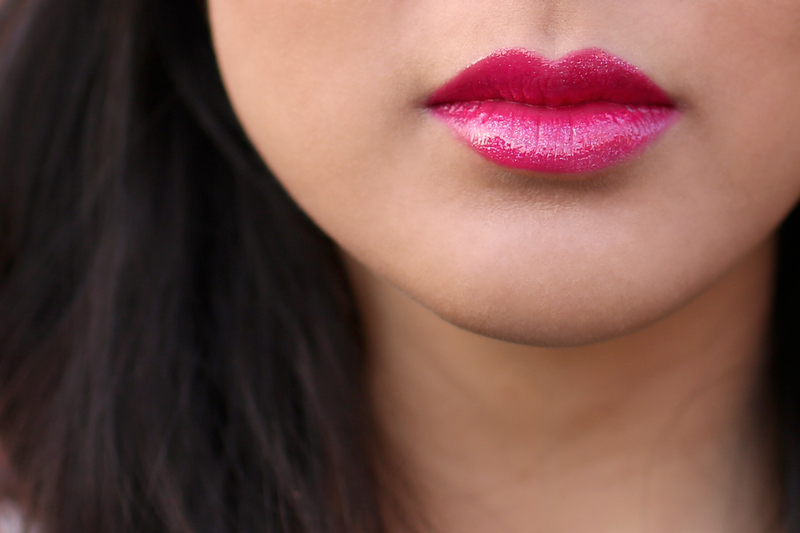 I'm not such a fan of the lipgloss but when you combine it with the lipstick it's gorgeous! Jen, you are SO beautiful!! Insane!